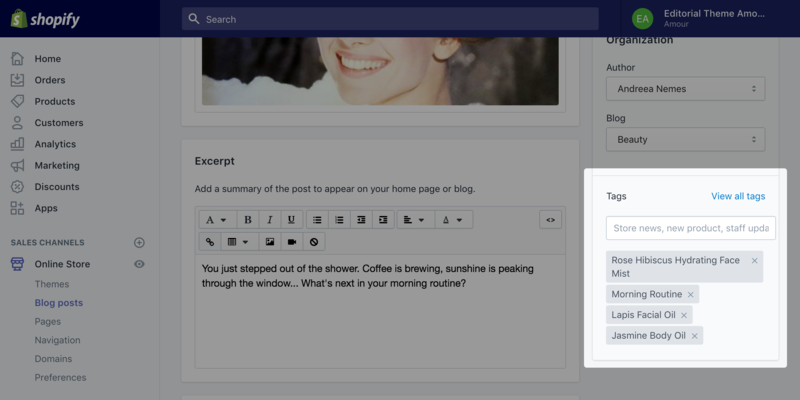 Editorial allows you to use tags to link products and blog posts. 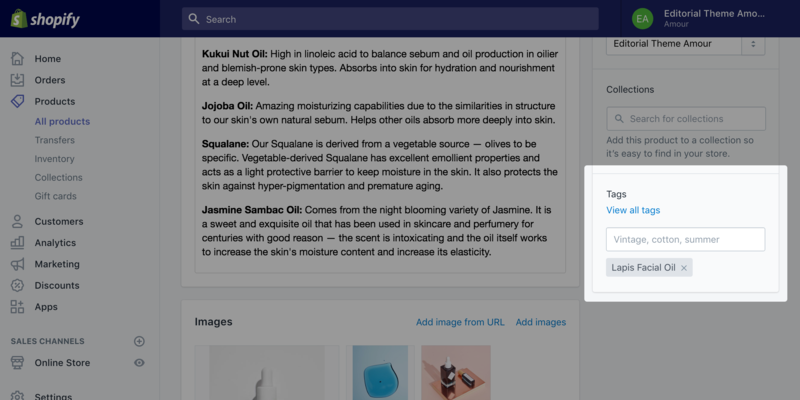 You can show related products on blog posts and related blog posts on product pages. You can also show blog posts related to other blog posts. Products and blog posts with the same tag are considered related. You can prioritize products from certain collections if you have more than 50 products, and you can select which blogs will be given priority as related blog post sources. Products and blog posts both use tags behind the scenes. You can learn more about tags in this Shopify support article. If you want to show products on blog posts, enable it in the settings for the Blog posts template. To show blog posts on products, enable it in the Product template.